Paris Saint Germain produced a stunning display to thump FC Basel 3-0 in their Champions League Group A clash at the Parc des Princes. The hosts opened the scoring in the 40th minute thanks to Angel Di Maria before Lucas Moura and Edinson Cavani secured the win in the second half. This result sees the French champions join Arsenal in top spot after the Gunners downed Ludogorets on home soil. In group B, Cameroon international Vincent Aboubakar scored a brace of goals as Turkish giants Besiktas stunned Napoli 3-2 in Italy. Lorenzo Insigne missed a penalty just after the interval which proved to be the turning point at the Stadio San Paolo and this win sees Besiktas retain their second place ahead of Benfica, who outclassed Dynamo Kyiv 2-0 thanks to goals from Eduardo Salvio and Franco Cervi. 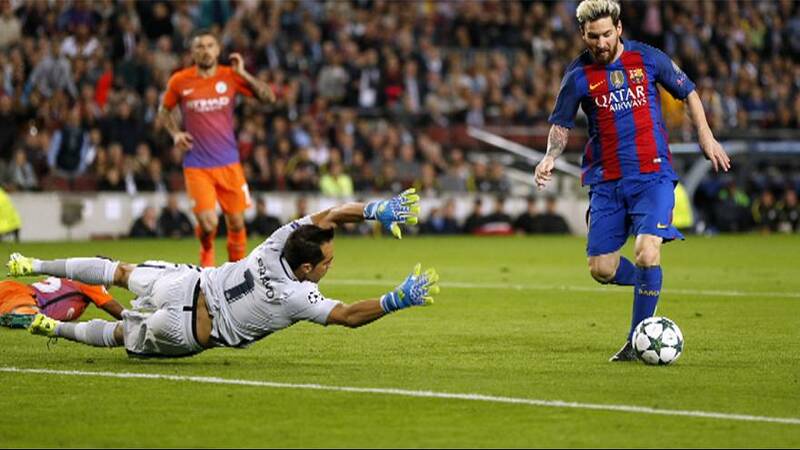 Elsewhere, FC Barcelona delighted their supporters with an emphatic 4-0 win over Pep Guardiola’s Manchester City at the Nou Camp. Argentina international Lionel Messi produced a man of the match performance to score a superb hat-trick as the Blaugranas extended their lead to 5 points in the overall standings. Borussia Moenchengladbach are currently sitting third, one point further back after stunning Celtic 2-0. In group D, Thomas Mueller, Joshua Kimmich, Robert Lewandowski and Arjen Robben each struck to hand Bayern Munich a 4-1 win over PSV Eindhoven at the Allianz Arena.